Every year Nielit recruits scientist-B from various branches here i am giving syllabus for electronics and communications branch. differential equations with constant coefficients, Method of variation of parameters, Cauchy’s and Euler’s equations, Initial and boundary value problems, Partial Differential Equations and variable separable method. Complex variables: Analytic functions, Cauchy’s integral theorem and integral formula,Taylor’s and Laurent’ series, Residue theorem, solution integrals. superposition, Thevenin and Norton’s maximum power transfer, Wye-Delta transformation.Steady state sinusoidal analysis using phasors. Linear constant coefficient differential equations;time domain analysis of simple RLC circuits, Solution of network equations using Laplacetransform: frequency domain analysis of RLC circuits. 2-port network parameters: driving pointand transfer functions. State equations for networks. Digital circuits: Boolean algebra, minimization of Boolean functions; logic gates; digital IC families (DTL, TTL, ECL, MOS, CMOS). Combinatorial circuits: arithmetic circuits, code converters, multiplexers, decoders, PROMs and PLAs. Sequential circuits: latches and flip-flops, counters and shift-registers. Sample and hold circuits, ADCs, DACs. Semiconductor memories. Control Systems: Basic control system components; block diagrammatic description, reduction of block diagrams. Open loop and closed loop (feedback) systems and stability analysis of these systems. Signal flow graphs and their use in determining transfer functions of systems; transient and steady state analysis of LTI control systems and frequency response. Tools and techniques for LTI control system analysis: root loci, Routh-Hurwitz criterion, Bode and Nyquist plots. Control system compensators: elements of lead and lag compensation, elements of Proportional- Integral-Derivative (PID) control. State variable representation and solution of state equation of LTI control systems. pulse code modulation (DPCM), digital modulation schemes: amplitude, phase and frequency shift keying schemes (ASK, PSK, FSK), matched filter receivers, bandwidth consideration and probability of error calculations for these schemes. Basics of TDMA, FDMA and CDMA and GSM. National Institute of Electronics & Information Technology (NIELIT) recruits scientists from various branches every year, the selection process consists of written exam. The syllabus for this post was already given in my previous posts but here i am giving a flow chart of exam pattern which consists of both technical and non technical questions based on the syllabus. The main objective of PGECET is to identify at the state level, meritorious and motivated candidates who didn’t qualify in GATE exam for admission to Post Graduate programmes in Engineering and technology. PGCET exam is useful for the students who wants to take admissions in higher education. Here I am giving syllabus for APPGCET written exam for ECE and EEE. PGECET examinations consist of each paper of 2 hours duration and carry a maximum of 120 marks. Calculus: Mean value theorems, Theorems of integral calculus, Evaluation of definite and improper integrals,Partial Derivatives, Maxima and minima, multiple integrals, Fourier series. Vector identities, Directional derivatives, Line, Surface and Volume integrals, Stokes, Gauss and Green's theorems. diffusion current, drift current, mobility, and resistivity. Generation and recombination of carriers. p-n junction diode, Zener diode, tunnel diode, BJT, JFET, MOS capacitor, MOSFET, LED, p-I-n and avalanche photo diode, Basics of LASERs. Device technology: integrated circuits fabrication process, oxidation, diffusion, ion implantation, photolithography, n-tub, p-tub and twin-tub CMOS process. Analog Circuits: Small Signal Equivalent circuits of diodes, BJTs, MOSFETs and analog CMOS. Simple diode circuits, clipping, clamping, rectifier. Biasing and bias stability of transistor and FET amplifiers.Amplifiers: single-and multi-stage, differential and operational, feedback, and power. Frequency response of amplifiers. Simple op-amp circuits. Filters. Sinusoidal oscillators; criterion for oscillation; single-transistor and op-amp configurations. Function generators and wave-shaping circuits, 555 Timers. Power supplies. Digital circuits: Boolean algebra, minimization of Boolean functions; logic gates; digital IC families (DTL,TTL, ECL, MOS, CMOS). Combinatorial circuits: arithmetic circuits, code converters, multiplexers, decoders,PROMs and PLAs. Sequential circuits: latches and flip-flops, counters and shift-registers. Sample and hold circuits, ADCs, DACs. Semiconductor memories. Microprocessor (8085): architecture, programming, memory and I/O interfacing. Signals and Systems: Definitions and properties of Laplace transform continuous-time and discrete-time Fourier series, continuous-time and discrete-time Fourier Transform, DFT and FFT, ztransform. Sampling theorem. Linear Time-Invariant (LTI) Systems: definitions and properties; causality, stability, impulse response, convolution, poles and zeros, parallel and cascade structure, frequency response, group delay, phase delay. Signal transmission through LTI systems. Electromagnetics: Elements of vector calculus: divergence and curl; Gauss' and Stokes' theorems, Maxwell's equations: differential and integral forms. Wave equation, Poynting vector. Plane waves: propagation through various media; reflection and refraction; phase and group velocity; skin depth. Transmission lines: characteristic impedance; impedance transformation; Smith chart; impedance matching; S parameters, pulse excitation. Waveguides: modes in rectangular waveguides; boundary conditions; cut-off frequencies;dispersion relations. Basics of propagation in dielectric waveguide and optical fibers. Basics of Antennas: Dipole antennas; radiation pattern; antenna gain. Mathematics: Similar to ECE syllabus. Electrical Machines: Single phase transformer - equivalent circuit, phasor diagram, tests, regulation and efficiency; three phase transformers - connections, parallel operation; auto-transformer; energy conversion principles; DC machines - types, windings, generator characteristics, armature reaction and commutation, starting and speed control of motors; three phase induction motors - principles, types, performance characteristics, starting and speed control; single phase induction motors; synchronous machines -performance, regulation and parallel operation of generators, motor starting, characteristics and applications;servo and stepper motors. 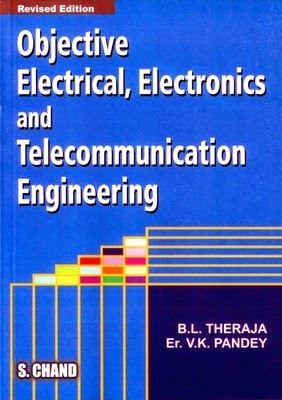 impedance and admittance matrices; load flow; voltage control; power factor correction; economic operation;symmetrical components; fault analysis; principles of over-current, differential and distance protection; solid state relays and digital protection; circuit breakers; system stability concepts, swing curves and equal area criterion; HVDC transmission and FACTS concepts. After completion of my graduation I was thinking what to do next, at that time some one suggested me to take GATE exam for higher studies so,I decided to write GATE for that purpose I asked so many people who got success in previous GATE exams about the coaching centers i.e I almost done a small research on coaching centers. As per my survey most of the people suggest the below four coaching centers only so here I want to share my research with you. 1. ACE Academy: In every year thousands of people are taking coaching from this institute.This is the one of the best institute which succeeded in giving better coaching to GATE and it is located in Hyderabad. 2. Made Easy: This is also one of the successful institute for Both IES and GATE coaching,They have different branches in across India.They take limited students per class. 3. Gate forum: This is the one of the coaching centers which offers online classes for GATE.They have different branches across India. 4. Lead Tirupati: It is also one of the successful GATE coaching institute is located in Tirupati(Andhra Pradesh). There are so many institutes but the above four are the most famous institutes across India.If you want to prepare for both GATE and PSU jobs or any govt core jobs its better to take IES coaching it will useful for both GATE and jobs . wherever you Join without your hard work none of the institutes will give better result to you. GATE is abbreviated as graduate aptitude test in engineering is an all India examination that tests the engineering technical aptitude skills. Every year this exam was conducted by one of the seven IIT’s and IISc banglore. Why should we write this GATE 2018 Exam? 2. For doing a M.E, M.Tech and M.S in reputed institutes like IIT’s ,IISc,NIT’s and top universities. The question paper will consists of both multiple choice questions(MCQ) and numerical answer type questions. Every year lakhs of peoples are writing this exam but only some peoples are getting success . Gate qualified students are eligible for stipend of Rs.12400/- per month on M.tech admissions. Recently Visakhapatnam steel plant releases a notification for the post of management trainee,here I am giving syllabus for the written exam for the branches electronics and electrical.Written test will comprise of General Awareness, Numerical Ability, General English, Verbal and Non Verbal Reasoning and separate paper for each discipline and there is no negative marking in the test. Logical reasoning:Deductive Logic,Inductive Logic,Conceptualization,Puzzles,Venn Diagram. Simple Interest & Compound Interest,Time , work and distance,Permutations & Combinations. Electrical: Analog and Digital Electronics,Control Systems,Electric Circuits and Fields,Electrical and Electronic Measurements,Electrical Machines,Power Electronics and Drives,Power Systems,Signals and Systems. Bharat electronics limited(BEL) is one of the largest electronic industry in India,every year they recruit maximum of 100 electronics engineers through GATE or a written test conducted by them and The written test will be held at Bangalore, Delhi, Mumbai, Kolkata and Guwahati centers only. So, Candidates should choose the test center nearest to their place of correspondence. The written test is of objective type of both technical and General aptitude. In 2012 written exam they asked 150 questions with time constraint. In competitive exam time management is very important so,you should practice and prepare well to manage your exam time. Mostly they asked basic theory questions and small problem based questions from the engineering subjects in technical sections,the technical paper is easy for a student who preparing or prepared for GATE/IES and while coming to the aptitude it’s little bit tough,and it will take more time to solve. We are giving the expected syllabus based on previous exam,there is no exact syllabus given by BEL team. Main Subjects: Analog electronics(concentrate more on Op-amps, Amplifiers), Basics of electronics(concentrate more on FET,MOSFET), Digital electronics,Microprocessors, Logic families, Network theory, Antennas(More important don’t leave it), Transmission lines, Signals and systems(basics of signals, Laplace transform, z-transform) , Analog and digital communications, control systems, Engineering Mathematics ( in last exam they asked questions from Differential equations,integrations and matrices), 1or 2 questions from instrumentation. Aptitude and reasoning: R.S.Agarwal book is sufficient. May be this year we are expecting questions for General awareness and General English also first of all you should practice technical thoroughly and then aptitude finally go for general awareness and English. There is no particular book for any PSU, these are all practice books which contains objective questions for practice. To success in any competitive exam practice is more important than simply studying.. All the best!!!! For aptitude book i already wrote an article on best aptitude book you can check it here. 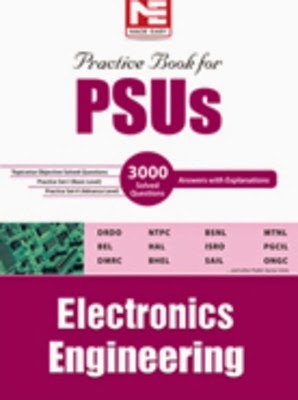 Keywords: bel pe syllabus 2014, syllabus for bel exam electronics,bel previous papers for ece.